It IS Possible to Get Your Life Back NOW! Introducing the Get Your Life Back NOW series. 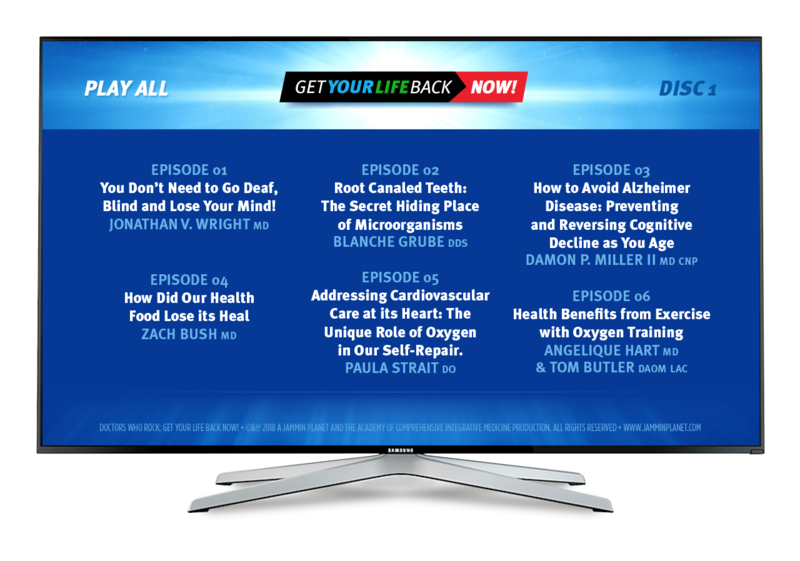 25 Doctors and Experts reveal their secrets to overcoming chronic conditions… get back to having the quality of life you want and deserve…and you don’t even have to leave your couch to do it! If you're trying to regain the quality of your life after chronic illness robbed you and your loved ones of it—you may be feeling sad and depressed…right? · 100 million Americans suffer from more than 1 chronic condition. · 30 million Americans suffer from more than 5 chronic conditions. And these other chronic illnesses. and many other chronic conditions! Physically just making coffee seems like an accomplishment! Doing a couple of loads of laundry used to seem like a piece of cake, now it feels like climbing mount Everest! Every day tasks that once took minutes to complete, are now massive challenges that take so much of your precious time! You are loosing your independence and have to rely on family and friends. Becoming a burden to them is so agonizing for you! Mentally you are frustrated because your body can’t do what your mind wants to do. Now you are consumed with anger because what you are facing seems so unfair! Underneath the anger is a sadness because you are grieving the life you once had. You still find a way to put on a brave face that most people can see through. Despite your best efforts your family and friends feel your pain and it negatively impacts them. Socially how can you go out with your friends when you don’t look and feel your best? And you are tired of answering all the same questions again and again. Sometimes you don’t even have an explanation for why you feel bad, you just do. You become more isolated and it seems like pain seems like your constant companion. You finally realize you are sick and tired of being sick and tired! Then the realization sets in…and you begin to wonder…will I ever get my life back? It's a lonely and scary feeling...but there is a better way! 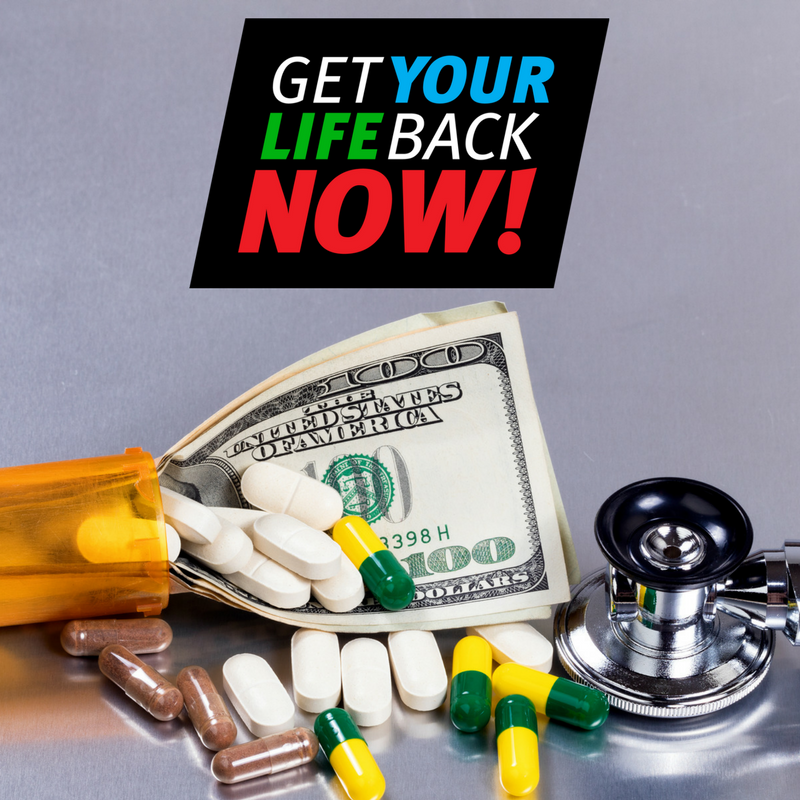 It is possible for you to get back to the life you were living before chronic illness! We have 25 Doctors and Experts who will share their secrets and teach you how to prevent and reverse chronic illness! Introducing the Academy of Comprehensive Integrative Medicine and your Get Your Life Back NOW team of Doctors and Experts! The Academy of Integrative Comprehensive Medicine’s (ACIM) mission is to be the leader in shifting the healthcare paradigm toward wellness by restoring hope, empowering people, training and supporting practitioners, conducting research, implementing therapeutic innovations, and creating a global Wellness Care Community. Your Get Your Life Back NOW team of Doctors and Experts were hand picked by the ACIM to bring you the latest innovative techniques to empower you to chart your own course to health and wellness. 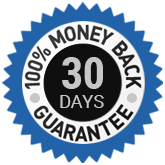 CLICK HERE TO GET YOUR LIFE BACK NOW! Brought together by the Academy of Comprehensive Integrative Medicine! a discussion on addressing the emotional roots of chronic illness. Under his direction, the Academy with which he works has hosted many international integrative medicine conferences since 2010. ACIM has also recently completed video recording a 300-hour online Core Integrative Medicine Fellowship training program as well as Wellness Coach training programs to help train the next generation of integrative practitioners. Through his teachings, clinical practice, and research, Dr. Cowden has advanced the field of integrative medicine like few others. 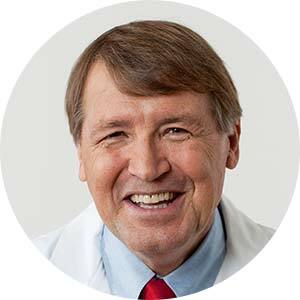 BIO: Dr. William Lee Cowden, MD, MD(H), is Chairman of the Scientific Advisory Board and Professor of the Academy of Comprehensive Integrative Medicine of Panama. He is a USA board-certified cardiologist & internist, a licensed homeopathic medical doctor and an internationally renowned leader in the practice and teaching of integrative medicine. Dr. Mercola's intention is to catalyze a transformation of health care in the US and across the globe and save as many people as possible from unnecessary pain and suffering and premature dealth. at St. Alexius Medical Center for five years and a fellow at the American College of Nutrition (ACN) since 2012. A frequent guest on national media, Dr. Mercola has appeared on the Today Show, CNN, ABC's World News Tonight and the Dr. Oz Show. His most recent book Fat for Fuel: A Revolutionary Diet to Combat Cancer, Boost Brain Power, and Increase Your Energy (2017) was a USA Today best seller. 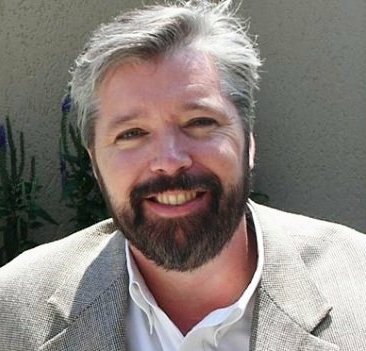 Author and Host of "Green Medicine Radio"
Don't Go Deaf, Blind, or Lose Your Mind! Hearing loss and the use of an adrenal steroid to positively impact the loss of hearing in many (but not all) individuals. Contributing factors to glaucoma and natural ways to prevent and treat elevated intra- ocular pressure, along with historical data from early researchers. BIO: A Harvard University (A.B. 1965) and University of Michigan graduate (M.D. 1969), Dr. Jonathan Wright has been instrumental in developing research- based nutritional protocols since the early 1980s. His knowledge of the intricacies of individual biochemistry and the influence of natural substances on health and wellbeing is shared with practitioners in major national and international conferences on a yearly basis. Well-known for his work with bio-identical hormone replacement therapies, he initiated the use of bio-identical estrogen, was the rest to use DHEA in private practice, developed cyclical patterns of hormone application and testing to ensure safety and efficacy. A biological dentist and successful businesswoman, she is owner of Dr. Blanche D. Grube Clinic, Biocomp Laboratories, DNA Connextions, Huggins Applied Healing, and Huggins Centers for Healing. Root canals and how they are essentially dead teeth left behind that are universally toxic. BIO: A graduate of Queens College, C.U.N.Y, Blanche Grube received her doctorate from the University of Medicine and Dentistry of New Jersey in 1982 (now Rutgers University). She holds a second doctorate in Integrative Medicine from Capital University of Integrative Medicine in Washington, D.C. She also received training in conscious sedation at Albert Einstein Hospital, New York and at St. Joseph’s Hospital, New Jersey. To this, she has added extensive training in homeopathy, nutrition, iridology, colon hydrotherapy, neural therapy and acupuncture. 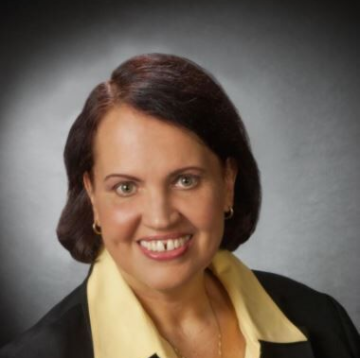 A Board Certified Biological Dentist, Dr. Grube is a former President of the International Academy of Biological Dentistry & Medicine (IABDM), and she holds Fellowships from the IABDM, the IAOMT, The Institute of Natural Dentistry, and the Dental Association of Conscious Sedation. Modern medicine has invested billions of dollars in research searching for a drug to treat Alzheimer disease, and, to date, has made no progress in treating, preventing or relieving the symptoms of Alzheimer disease and related dementia. None. How patients have actually-improved the cognitive function of people already diagnosed with dementia. A blueprint on how to care for the brain health of you and your loved ones. BIO: Dr. Miller is Board Certified in Diagnostic Radiology and Interventional Radiology. He left his hospital based practice in 1995 and has been in private practice since. People come to his office when they have a problem that has not been well served by allopathic medicine. He offers an integrative approach to treatment that combines safe and effective therapies that work. Reversing Macular Degeneration and auto immune disease and resolving chronic infections without prescription antibiotics are areas where he is especially successful. How Did Our Health Food Lose its Health? The US now ranks 49th in the world for health outcomes. We have the highest day 1 neonatal death rate in the world. We spend over $8,000 per year in healthcare for every man, woman and child, and we spend hundreds of billions of our hard-earned money on health food and supplements. The ancient wisdom, “let thy food be thy medicine,” is not holding true today. What have we done to our food production system to undermine its life-giving properties? Chemical farming has devastated the bacterial ecosystem that is our first line of defense. The progression of disease in the US over the last 20 years in relation to these farming practices. of the few triple board- certified physicians in the country, with specialties of internal medicine, endocrinology and metabolism, and hospice/palliative care. His achievements include award-winning cell biology, clinical care, and medical education. He is the founder and director of Revolution Health Center in Charlottesville, Virginia, and is the CEO of Biomic Sciences - the team that has brought forth the novel science and the RestoreTM product. When it comes to cancer, conventional doctors are trained to treat their patients exclusively with surgery, radiation and chemotherapy. Dr. Connealy has developed a whole-person approach to treating cancer. These treatments have helped thousands of patients through her Cancer Center for Healing. The latest in cancer screening and technologies. BIO: Dr. Connealy attended the University of Texas School of Public Health, and then attended the University of Health Sciences Chicago Medical School. She completed her post- graduate training at the Harbor/UCLA Medical Center in Los Angeles, California. 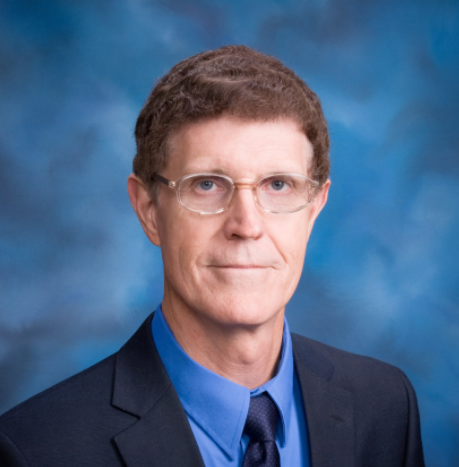 Dr. Connealy began practicing medicine in 1986. In 1992, she founded the Center for New Medicine. 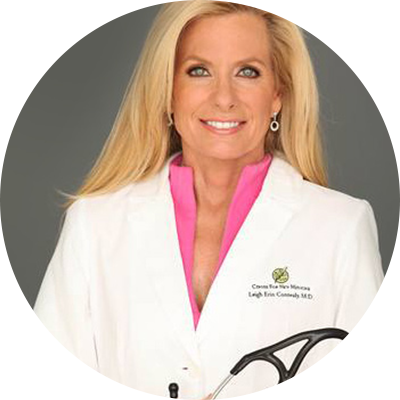 In 2009, she founded the Irvine, California-based Cancer Center for Healing and Addiction Center for Healing, where she serves as Medical Director and has successfully treated many patients with cancer and other chronic conditions. Dr. Sinatra has made it his mission to develop and offer an entire line of high vibrational foods and nutritional supplements that support health and vitality for his patients and the general population alike. several pillars of healing that help redirect our cellular energies into a positive direction. The focus is on higher vibrational dietary foods which support health and aliveness while diminishing pathology at the same time. can experience more aliveness, wellness and perhaps even longevity. BIO: Stephen T. Sinatra, M.D., F.A.C.C., F.A.C.N., C.N.S., C.B.T., is a board- certified cardiologist, certified bio-energetic psychotherapist, and certified nutrition and anti-aging specialist. He has lectured and facilitated workshops worldwide and has authored over 22 books, as well as numerous peer reviewed articles. 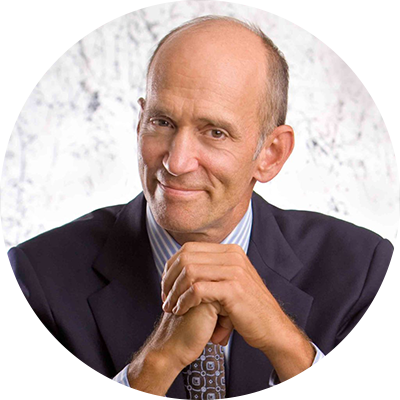 He has been featured on many national radio and television shows including CNN, MSNBC, Fox on Health, The Dr. Oz Show, The Doctors, 700 Club, and the Today Show. Through- out his 40+ years as a clinician and researcher, he’s discovered that inflammation underlies most health issues. As an integrative physician, Dr. Sinatra incorporates the best of conventional and cutting-edge alternative therapies. Every cell in the body is designed to run at -25 millivolts. Cells are constantly wearing out and need to be replaced. When you must make a new cell, you need -50 millivolts of energy, all the materials needed to make a cell that works, and to remove toxins that will damage cells as fast as you make them. Measures that can be taken to restore the voltage so the body can heal itself. BIO: Jerry Tennant is certified in ophthalmology, ophthalmic plastic surgery, homeopathy and integrative medicine. Having done the majority of the research for the VISX laser used in Lasik surgery, he developed Encephalitis and spent seven years in bed. His research to get himself well when traditional medicine could not, resulted in his mapping out the energy (voltage) system of the body and redefining what acupuncture really is. 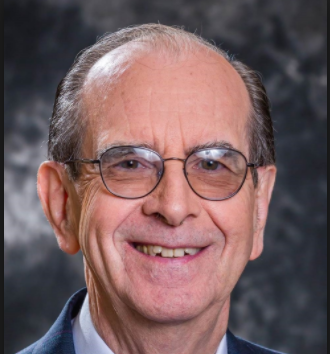 He has been honored for his contributions to medicine by the American Academy of Ophthalmology, the Corboy Award, the Order of Saint Sylvester from Pope Benedict, an honorary PhD and lifetime achievement awards from several medical societies. The vast majority of diseases are the result of unhealthy habits—smoking, obesity, inadequate real food, lack of exercise and inadequate sleep. Indeed, only 2.7% of Americans practice all the essential healthy habits. How Diabetes, hyper- tension, heart disease, and most cancers could be avoided if individuals followed healthy habits. 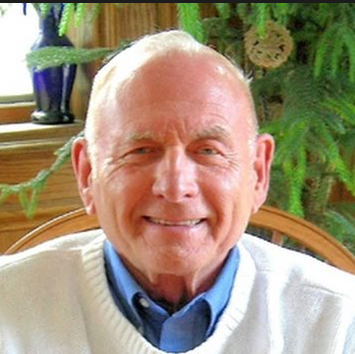 BIO: C. Norman Shealy, M.D., Ph.D. is Founder and CEO of International Institute of Holistic Medicine, President of Shealy Wellness, LLC and Holos Energy Medicine Education, and President of International Institute of Holistic Health. He is editor of the Journal of Comprehensive Alternative Medicine. He was founding President of the American Holistic Medical Association in 1978. He was founding President of Holos University Graduate Seminary and is now Professor Emeritus of Energy Medicine. 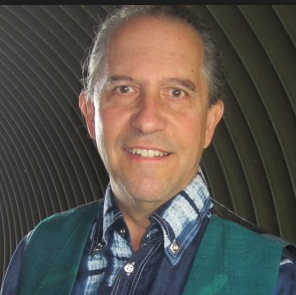 He has 12 patents in Energy Medicine, has published 34 books and over 300 articles. Dr. Jernigan was the first doctor to write a book on the natural treatment of people diagnosed with Lyme Disease and has authored four books on Lyme Disease. The latest edition is Beating Lyme Disease; Living the Good Life in Spite of Lyme. Dr. Jernigan has personally developed over 30 natural medicines to date. BIO: Dr. Jernigan is a published author and is nationally recognized as a leader in Biological Medicine and the treatment of chronic illness. He received his doctorate in Chiropractic Medicine at Cleveland Chiropractic College-KC. 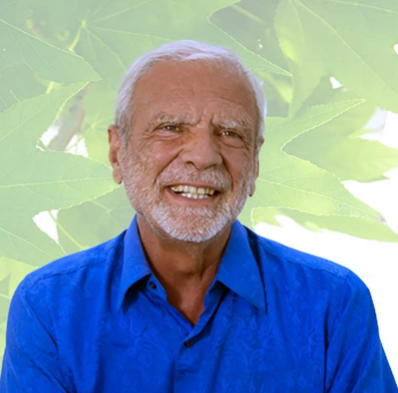 Post Graduate studies have taken him far and wide, studying natural and anthroposophical medicine in Germany and Biological Medicine with the world- renowned Dr. Thomas Rau, MD, of the Paracelsus Klinic of Switzerland. Dr. Jernigan received his certification in Botanical Medicine through the University of Colorado, School of Pharmacy. He is also the developer of the diagnostic and treatment technique Bio- Resonance Scanning TM, Neuro Cardial Synchronization TM, and Neuro- Photonic Therapy TM. How do I get access to this life changing information and start to get my life back? We gathered 25 world class doctors and experts in one room and recorded their best material for YOU! Over 21 hours of life changing information to help you get your life back now! You can watch this content rich material over and over again so you can begin to implement these changes in your life. And we recommend you watch this with your family members because they can be on YOUR team to help you get your life back. Another reason why your family should watch this with you is they can learn health habits to prevent chronic conditions from ever occurring in their lives! · You can start applying these techniques immediately! · You’ll have confidence because you are taking your LIFE BACK NOW! If you purchase the DVD set today, you will receive instant access for LIFE to our online network! · Watch this on your computer or even on your smart phone! How Did Our Health Food Lose It's Health? Reversing Chronic Fatigue & Fibromyalgia with 85% Success! What Can You Do Now To Make a Difference? Curing the "Incurable: Lyme Disease and Beyond?" Get Your Life Back NOW experience! their GREATNESS!!! YES WE CAN!!!" 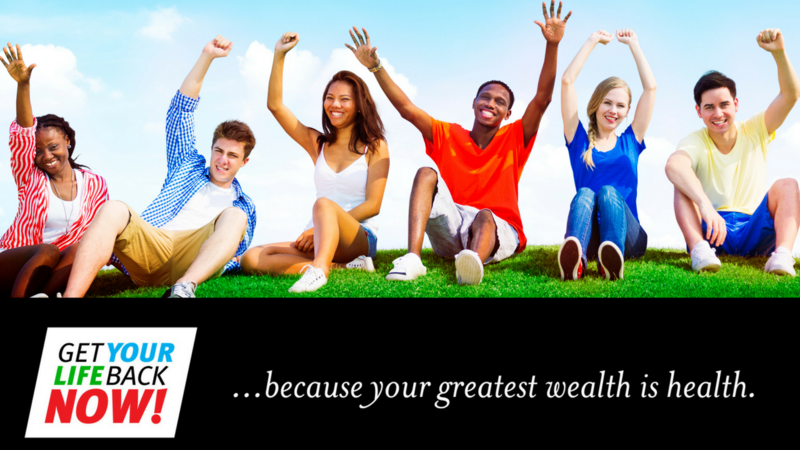 "The Get Your Life Back Now Summit is something everyone should attend. I was fortunate to have friends that cared enough to share this information with me. If you have people you love who are suffering share this DVD with them!" "Each and every one of them took their personal time to share truly life changing information." Hear from Survivors Who Got Their Life Back from Chronic Illness! For a Limited Time Order the DVD for only $59 and Get $20 OFF Instant Digital Access for LIFE to this Content! For less than the price of one visit to the Doctor's office, you can have the wisdom of 16 world-class Doctors and 9 Experts right from the comfort of your own home!